Archie Moore makes his only Perry appearance here playing Jason Sparks. Archie Moore was the light-heavyweight boxing champion of the world from 1952-1960. Archie Moore was the last boxer to fight Rocky Marciano, actually becoming only one of two fighters to knock Rocky down even though in the end he was knocked out by Rocky. After he retired from boxing he had a brief acting career, most notably as Jim in the 1960 production of Huckleberry Finn. Submitted by PaulDrake 33, 29 September 2009. +I think it's also worth noting that the show takes another baby step forward toward racial equality. During the coroner's inquest, Moore sits at a table with Ann Dixon--a white woman. I bet more than a few viewers at the time were uncomfortable with that! Submitted by JazzBaby, 4/9/2019. David Sadowski noted in the Perry_Mason Yahoo! group that this episode was originally aired a week after its scheduled date. Submitted by daveb, 1/16/2011. More information here. Sightings: Apparently Distinguished Gentleman #1 made the trip from Los Angeles to observe the coroner�s inquest. Perhaps he�s a weekend rockhound, with his buffalo plaid flannel shirt; after all earlier he appears as a customer in the saloon. Submitted by gracenote 2/16/2011. Music:You know it�s a Western saloon because Stephen Foster�s �Camptown Races� is playing on a tinny piano in the background (doo-dah, doo-dah) as Paul Drake heads for camp. Submitted by gracenote, 7/29/2011. + This song is also used in �TCOT Clumsy Clown.� Must be a favorite of one of the producers. Submitted by cgraul, 9/26/2011. + It�s also in the public domain�which could be why it�s a favorite not only of the Perry producers but of many others on TV and radio! Submitted by gracenote, 10/5/2011. Strother Martin, of course, is best known for uttering the famous line �What we have here�is failure�to communicate� in Paul Newman�s great Cool Hand Luke. Submitted by cgraul, 9/26/2011. + He parodied the line in a "Saturday Night Live" skit set in a French-Learning Summer Camp: "What we have here is failure to communicate BILINGUALLY." Mike Bedard Presidents' Day 2015. I recognized a younger Garry Walberg, who played Asst. D.A. Northridge in this one, as later on playing the gruff (and funny) Lt. Frank Monahan from the Quincy, M.E. series (Jack Klugman starred in 1976). CARS. Watch for two look-alike but different Jeeps. There are also two early-50s Chevrolet sedans of different years that could easily be mistaken as one & the same car. Also watch for a 1963 U.S. car that's not the usual Buick or Ford/Lincoln. (1) Banning Grant's medium-color 1955 Willys Jeep CJ-5 (or later), Licence No HEK 368. Note the standard side-mount spare and "JEEP" brand on body side. 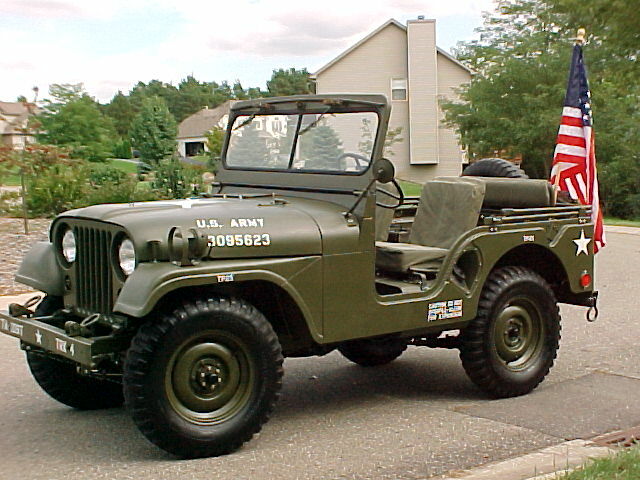 CJ-5 was produced 1955 to 1971 ("CJ"= Civilian Jeep). It was patterned on the M38A1 military jeep. (2) a dust-covered 1946-1950 Flxible Clipper inter-city bus departs Gold Gulch for destination "MOJAVE". Photos: rear quarter, imcdb set, nose badge. Illustrated Clipper history. (3) medium color 1963 Dodge Polara Convertible top down, Licence Number GZP 045 (? ), parked in front of GRANT MINING Co office: glimpsed at 2:24 & 3:13, best seen at 23:51. Assumed to be either Lillian Bradisson's or Hayward Small's. (4) Perry's white 1963 Lincoln Continental Convertible top↓, Lic# GZW 268. (5) Deputy Sheriff's 1963 Ford Galaxie 4-Door Sedan B&W, siren + two flashers on roof. (6) Paul's 1952-1955 Willys M38A1 Jeep, light-color w/accessory front towing frame, Licence Number JLR 559. It's an army surplus rebuild. Note the rear-mounted spare, absence of "JEEP" branding on body, oversize military gas-filler, recessed headlights/turn-signals and split windshield (barely visible at 49:18). The M38A1 Military Jeep had the first substantial power and carrying capacity upgrade to JEEP since the flat-fendered WW2 Jeeps. (7) Gerald Sommers' medium-color 1932 Ford "Model B" 5-Window Coupe, Licence Number HEF 251. 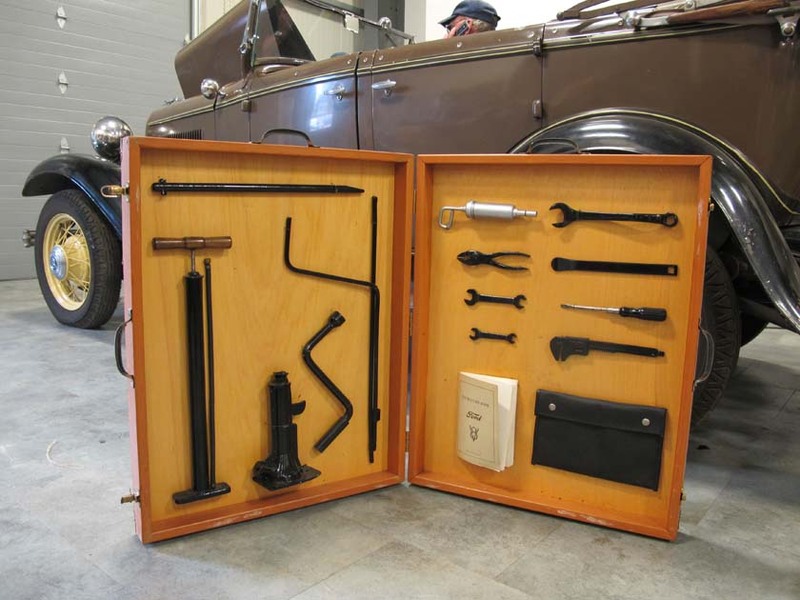 Sticklers for detail may wish to see the Original Equipment Tool Kit. The jack is on left side, bottom row. Sommers may have lost or broken his in the previous 31 years. (11) a 1957 Plymouth Custom 4-Door Suburban station wagon, 2-tone white/med. (a) light-color 1950 Chevrolet Styleline Sedan, toothless grill & split windshield; 9:55, 13:18. (b) a 1960 Chevrolet as Paul drives out of out of town at 29:40. (c) light-color 1953 Chevrolet 150 2-Door Sedan, grill teeth, 1-pce windshield, best @ 31:50. The M38A1 Jeep, from which the CJ5 was derived, had a rear-mount spare, minimizing its width for air/sea transport. The CJ5 side-mount permitted a tailgate. For those wishing to know more about jeeps I highly recommend the very interesting & readable "Illustrated BUYER'S GUIDE JEEP" by Jim Allen. It gives a complete history of all military and civilian jeeps up to 1999. Added by Gary Woloski, 2/1/14. +"THE JEEP, Dakota airplane and Landing craft were the 3 Tools that won the war," Supreme Commander Eisenhower said. Mike Bedard 2.24.15. I want to thank Gary Woloski again for his accurate identification of cars and excellent links to modern photos. Using his notes, I add these observations: Cars #7 and #8 are first seen at 2:34 as the bus drives away. Cars #9, #11, #a, and #c can be seen parked as Perry crosses the street at 9:56 and again (rearranged) when he returns to town at 13:18. When Paul drives into town at 23:54, we can see cars #3, #7, #8, and #a. And when Paul drives out of town, that must be car #b very dim in the background at 29:41. - Submitted by 10yearoldfan, now 16 February 2014. When Paul drives back to his camp, he gives posse cars #8, #9, and #10 the slip, but at 30:53 car #11 manages to follow Paul to his camp. At 33:20 Paul tells the inquest group that it was Deputy Connors who had followed him. Why was Connors driving the Suburban rather than his Galaxy police car? -Submitted by 10yearoldfan, 15 Feb 2014. TCOT Passing Proposal The novel on which this was based always stuck with me. It's the one where Perry proposes to Della! (I think he may have done so in other books, too, but this is the one I never forgot.) Not unnaturally, the scriptwriter left that out. Towards the end of the book, Perry and Della are in the desert. They cuddle a bit, then he hints at marriage. She declines, on the grounds that he only *thinks* he wants to settle down and that she wants to keep working with him, not be a housewife. A little more snuggling and he drops the idea. So close...! Submitted by JazzBaby, 2/12/2019.